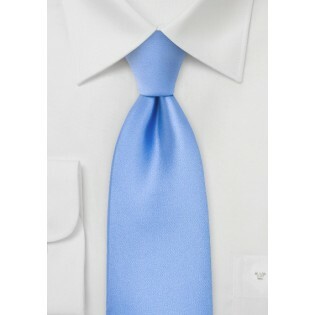 The color of this tie is a perfect match for light, sunny days in the spring and summer months. Puccini designed the tie with a modern and contemporary color in mind. 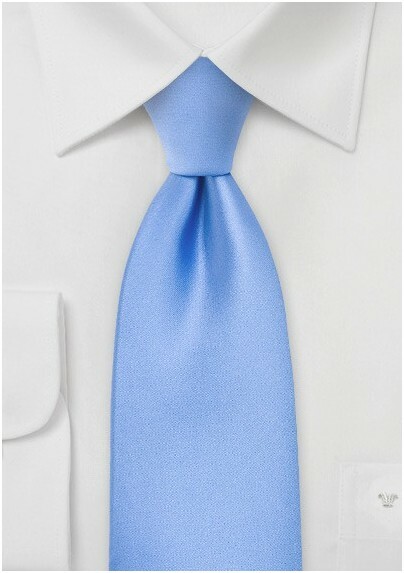 This tie is made from a microfiber that is both stain resistant and wrinkle. Matching this tie couldn’t be easier. All dress codes accept the solid, bright blue color. Match the tie with a crisp, white shirt and a light gray suit, and you have a simple combination of colors capable of spanning all seasons.